Rockbreaker Steel Tools – breaking rocks is our business. Caldervale Forge, Clarkston, Airdrie has changed a lot from its establishment in 1902. Originally manufacturing shovels, picks and other hand tools for the coal and steel industry that was a large part of the local industry. This part of Caldervales history can still be seen in the local heritage museum at Summerlee in Coatbridge. Things moved on mainly in the 1950 to 60s where new manufacturing systems were brought in and a new heat treatment facility was started. With the invention of the new hydraulic hammer tools in this period Caldervale found themselves at an advantage of having the ability to adapt their processes and skills to start the manufacture of the tools for the new hydraulic hammers. Going into the 70`s and following on into the new millennium Caldervale was one of the key suppliers to the construction and mining industry for hydraulic hammer tools. With investment over the years in new CNC machine tools, CNC controlled furnaces and specialist unique one off machines built only for the manufacture and heat treatment of hammer tools, Caldervale became one of the world market leaders in the industry. 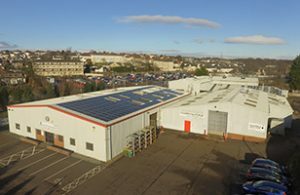 The factory was rebuilt and expanded with a new extension in 1992, during this decade Caldervale invested further into CNC equipment & quality assurance became a key part. ISO 9001 was obtained and it has been a company policy to continually improve. We now have the most up to date digital systems & now have BS EN ISO 9001- 2015. Attention to detail plus a constant awareness of customer requirements are key elements in our marketing strategy and this, together with the fact that demand is worldwide, we are confident our new developments will enable us to pursue these markets with even greater effect and place Scotland on the map as a major source. In the 90`s it was also found that due to our experience in heat treatment, local companies started using Caldervale for sub-contract heat treatment. This started as a small part of the business and has now grown into a key part of the business. Caldervale is now a key supplier for quality heat treatment for the oil industry, rail industry, automotive and construction industry. Working with the oil industry we have raised our standards and now have a total traceability system for all parts heat treated in Caldervale. In 2012 the company was purchased by the new owners who are committed to all the original values of the original owners and founders of Caldervale Forge. Still looking to grow the network of distributors all over the world who can sell a quality product manufactured in Scotland. 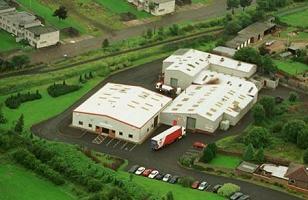 Caldervale Group – quality guaranteed – every time.